A few days ago, one of my Google+ followers, Steve Kluver, commented on an August 2014 share: “I am shopping for some more Chromebooks this Holiday Season, and found this post via G+ hashtag #chromebook search. How current is your ebook now?” He refers to Chromebook Reviews, which is available from Amazon for sale or for free reading with Kindle Unlimited. I apologized that the tome, published more than two years ago, is “way out of date”. If I’m not going to revise, I really should remove the title. I offered to give him buying advice, which got me to thinking about Chromebook as a concept and computing edifice. While a big fan, and owner of both generations of Google-made Chromebook Pixel, my primary laptop was a MacBook Pro for most of 2016. Measure of commitment: I bought the new 15.4-inch Touch Bar model just a few weeks ago. I’ve moved on, and got to thinking about why in crafting my response. I am narrowed down to the Acer 15’s. That size, along with a 1080p version, and offering 4/64GB is so very near our needs and wants. My concern is though, as often happens in purchasing tech, is, what is just around the corner? I’d be perfectly happy spending around $500 for this group of machines I need, but I have to think—after comparing specs of the Windows units—that I should be able to soon be offered 15.6 inch, 1080p-plus, 64/128GB Chromebooks for around this price point. The majority of Chromebooks are sold commercially, primarily to schools, which priority is low cost (and also manageability). There isn’t the kind of consumer demand that drives higher configs. Margins are thin, and manufacturers compensate by using less of everything—something they can get away with because of Chrome OS and schools’ computing priorities. Beyond the Google ecosystem, the apps aren’t there. At one time, their numbers rose but there’s a plateau of development now, beyond some niche needs (like education). Android apps are Google’s band-aid for the developer support Chrome OS lacks. That said, the browser remains the most compelling development platform, and that’s good for Chrome OS. But it’s better for Android, iOS, and the browsers they run. Web development’s future is mobile, where the browser apps are often as good as or better than the native ones; more convenient, too. During U.S. back-to-school season—July to September—the category had a “banner quarter in the K-12 market”, according to IDC, which “maintains a cautious outlook for the fourth quarter”. That makes sense if schools are the primary buyers and their largest purchasing period is past. What about U.S. consumers? Yesterday, I asked Stephen Baker, NPD vice president and primary hardware analyst, that question. Retail consumer sales “had been slow earlier in the year but the last few months we have seen them pick up”, he says. “From August to October, they increased 41 percent over the same period in 2015, which was a big increase from May to July when sales increased just 4 percent. Where is demand? Where I told Mr. Kluver. Chromebook “is once again gaining in under-$300 consumer markets, where their share in the last 3 months—August to October—was 21 percent, up from 15 percent the prior year”, Baker says. Here’s the thing: Chromebook’s resurgence at the low end is more about competitors seeking opportunities elsewhere. The NPD veep explains: “Chrome is doing better as Microsoft—and their partners—turn more attention towards premium devices and competing with Apple, sensing that Apple has been struggling prior to the release of the new Macbook Pro. We will see if Microsoft refocuses at all on the entry level marketplace”. Google’s Pixel, which I love, is a proof-of-concept not adopted by a single Chrome OS OEM. 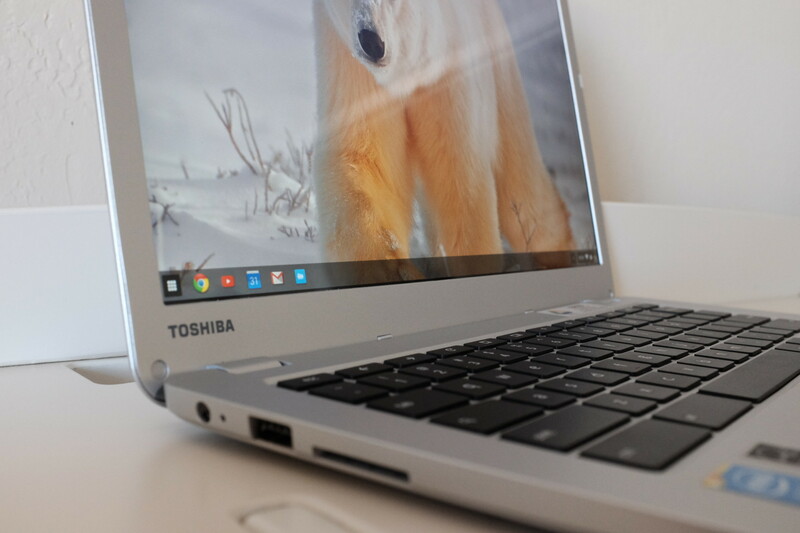 There is no up-market movement, or fancy features for future Chromebooks. Low-cost is the feature/benefit buyers seek. Alphabet seeks to bolster the app vacuum by making Android apps available for Chrome OS, but that’s a band-aid. Not coincidentally, during their brief heyday, netbooks sold well to K-12 schools, too—and for much the same reason: Low pricing. Working with partners, Microsoft remedied that problem, only to later be blindsided by Chromebook, which benefits from Alphabet’s massive informational software and services stack topped off by a popular web browser. Then there is Alphabet’s operating system schizophrenia. Android is the world’s most widely-used platform. As measured by usage share, Android currently leads globally on all major devices—including PCs, smartphones, and tablets—at 36.73 percent, according to StatCounter. Windows 7 ranks second with 18.23 percent share. By contrast, Chrome OS share is so low that it isn’t measured. Nor does rival NetMarketShare regard the platform as meaningfully quantifiable. NetNarketShare tracks 23 different desktop PC OS versions—long-obsolete Windows NT among them—and still Chrome OS is a no-show. Based on sales and share data, Alphabet’s long-term commitment to its other operating system is nebulous at best. Same can be said about app developers, who rightly follow the money; it ain’t coming from free webapps. Steve Kluver believes a combining of the two platforms is inevitable, and he’s not solitary expressing that sentiment. Alphabet wants “to build upon their success of Chrome for Education momentum”, he says. “Android Apps for Chrome is being enabled. This will cause Android app developers to code their work to look and work better in a Chrome environment. Much of which will be very beneficial, and cause them to think about Chrome more, or the blending thereof”. He believes that, and I don’t agree, “It also pushes Chrome machine builders to add the bits that will take full advantage of all that the Android app ecosystem has to offer—touchscreen, gyro, gps, barometer, etc. We will see the full evidence of this in the next wave of Chromebooks Q1/Q2 2017″. What Kluver really describes are the features found on smartphones, which will be topic of my next analysis. Looking at how Alphabet/Google dispatches products to the landfill, a future without Chrome OS is likely. If not for Chromebook’s limited education market success, the information giant would have abandoned the platform long ago—so I say. Chromebook presents Alphabet with an opportunity surely unanticipated during Chrome OS development: Hooking youngsters on Google cloud informational services. The laptop concept is a Trojan Horse, and one the company won’t abandon until the K-12 market begins to cool. Chrome OS has no future. Contrastingly, the Chrome browser running on Android, iOS, or Windows is a platform with reach and demand, whether individual users, small businesses, or larger corporations—and schools, too. The stand-alone browser, not an installation running on top of Alphabet-customized Linux or future Android hybrid, is the course of Alphabet’s platform development.